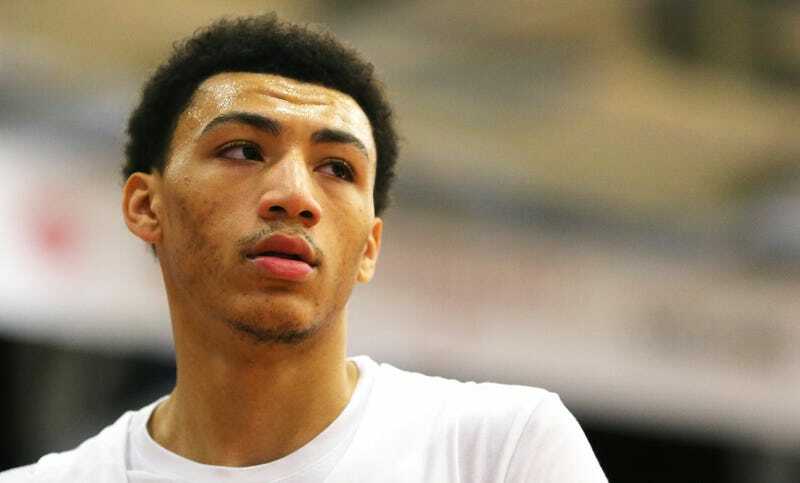 Jahvon Quinerly’s freshman season with Villanova has jumped off the rails quickly. The former five-star recruit has seen his playing time steadily decrease over the course of the young season, and he logged 48 of his 69 minutes this season in early-season blowout wins over Quinnipiac, Canisius, and Morgan State. When he does play, Quinerly is averaging just 2.4 points on 26.9 percent shooting. Less-heralded sophomore Collin Gillespie has taken over as Jay Wright’s starting point guard alongside senior Phil Booth, and Quinerly played just a single minute against Penn in the Wildcats’ shock loss to the Quakers earlier this week. Following the defeat, Quinerly started acting out on Instagram. He followed in the footsteps of other disgruntled athletes and posted a black screen-white text image stating his displeasure in the least cryptic way possible. Villanova is pretty obviously Quinerly’s “2nd choice” here, since he wound up on the Wildcats this offseason mostly because of his connection to the massive college basketball pay-for-play scandal last year. Quinerly was originally committed to Arizona, then decommited after FBI documents alleged that he took $15,000 from former Arizona coach Emmanuel “Book” Richardson on behalf of agent Christian Dawkins in exchange for his commitment. Quinerly then committed to Villanova in February, which brings us to his frustration with his current predicament. He deleted the “2nd choice” post shortly after it went up, at which point things got stranger. Quinerly’s account began furiously linking to spam accounts and posting a bunch of random garbage, perhaps in an effort to make it seem like someone had hacked his Instagram. Why that notional hacker would first post an in-character complaint referring to Quinerly’s specific situation before spamming @troy_daise.18957's profile is unclear. Shortly after this bizarre turn, Quinerly deleted his Instagram account entirely. If Quinerly somehow comes up big for Villanova against Kansas this weekend, he will have proved that nothing gets you out of adversity like Posting Through It.